Choosing the best dog breed for you and your family can be the most important decision you'll make. It's not enough to simply pick a dog for its looks or even its size... you also need to take other factors into consideration such as its personality, the amount of grooming or caretaking it may require and whether it will get along well with people of all ages as well as other pets. It's commonly known that the Australian Shepherd is a great choice for folks who have an active lifestyle and like a dog that is intelligent, alert and easily trainable. But owning an Aussie also means committing to many hours of exercise and training, either in the backyard or at the local dog park. If you don't want to put in that kind of work, you may want to consider other breeds. Families with children will need breeds that are gentle, loving, patient and loyal. The best dog breed for families may be a Bulldog, Beagle, Collie, Newfoundland, Poodle or Labrador or Golden Retriever. These breeds are all known for their ability to acclimate to people of all ages and their gentle demeanor. Senior citizens, on the other hand, will want dogs that are easy to take care of, friendly and don't necessarily need a lot of activity. Breeds including the French Bulldog, Poodle, Maltese, and Corgi all work exceptionally well for older adults as they don't shed much, don't require a lot of grooming, and are generally sweet natured and content to be lap dogs. 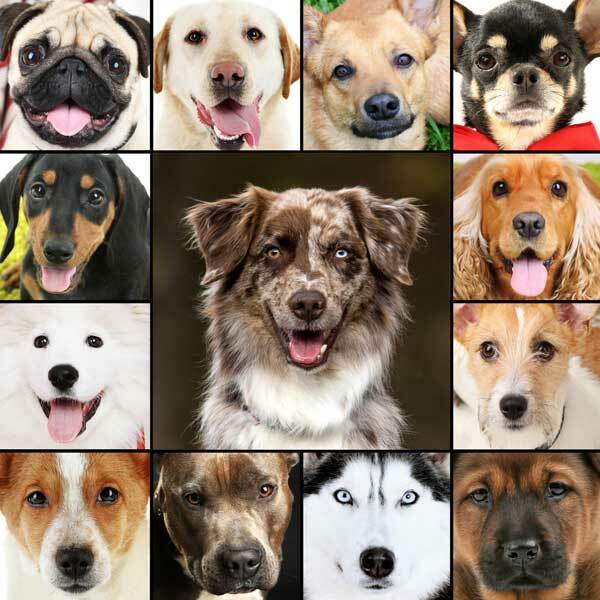 Choose a dog breed based on a temperament and activity level that best matches your lifestyle. If you are a first-time dog owner, you'll want to select a breed that is easygoing and adaptable. Veterinarians suggest Golden Retrievers, Boston Terriers, Pugs and Bichon Frise for first-time owners. These dogs were all bred to be companions and are happy to be with their humans, whether indoors or out. Any of them may be the best dog breed to ease you into dog ownership. Another big factor for many people when choosing a breed is allergy issues. Just because you are allergic doesn't mean you can't own a dog. If allergies are a concern for you, you want to choose a breed that doesn't shed a lot, such as the Bedlington Terrier, Chinese Crested, Kerry Blue Terrier, Portuguese Water Dog, Schnauzer and Wheaten Terrier. All of these breeds have easy to maintain coats that don't shed much and little to no doggie odor. Finally, an important factor in choosing the best dog breed for you is the size of your home. Generally, more active dogs need more space to run around, while smaller dogs are usually more suited to apartment life; but there is more to choosing a dog for apartment dwellers than just size. Actually, temperament and activity level are bigger determining factors than size, which is why laid-back larger dogs such as the Bulldog, Basset Hound, Greyhound, and even Great Dane are all surprisingly well suited to apartment life. Owning a dog can be a wonderful experience but it's important that you find a dog that suits your needs. You'll want to take various elements, including the size and makeup of your family and the amount of space and energy you have to give into consideration when making your choice. If you can find the right breed for your family you're guaranteed a lifetime of love and adventure with your four-legged friend! Is The Australian Shepherd The Right Breed For You?